Here are some of the more common questions we are asked by prospective school trip leaders. If you don't see the answer to a particular question or concern, simply get in touch and we'll take care of it for you. In order to keep this page manageable, FAQs for venues, accommodation providers and activities are shown on their individual detail pages. If you can't find the answer, let us know! We are a forward thinking organisation offering bespoke, curriculum-relevant trips and tours to the Isle of Wight at a realistic and affordable price. Excellence comes as standard. We offer the perfect mix of learning and fun in an "overseas" destination rich in learning opportunities for all age groups and ability levels. We will support those who wish to take care of their own travel and/or accommodation arrangements, or we offer a complete door-to-door service using high quality, trusted logistics partners. 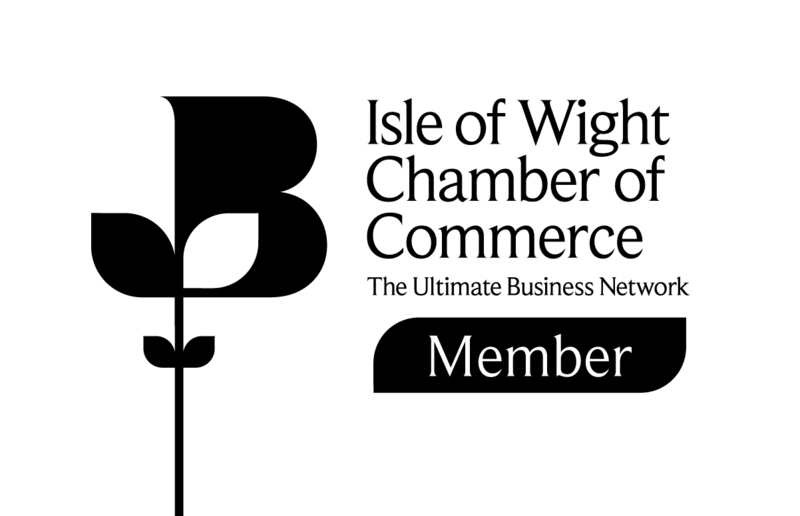 We're passionate about the Isle of Wight and the amazing scope of educational benefits to be found here. We will work alongside you to put together the perfect package for you. No hard and fast itineraries. No "same old same old" circular tours. Everything we offer is totally bespoke to you. How up-to-date are your programmes and activities? All of our itineraries are bespoke, built to your exact requirements. So they don't go out of date. Being locally based, we talk to our venues, accommodation and activity providers on a regular basis, so we are fully appraised of updates and changes. Our learning resources are revised regularly to keep abreast of curriculum and syllabus changes. As an absolute minimum, our National Curriculum relevant resources are designed around the 2014 requirements. What types of resources and worksheets do you offer? We pride ourselves on the quality and relevance of each of our learning resources. We encourage each of our venues to develop as many as possible, based on a detailed analysis of the main UK curriculums and syllabuses. We develop resources for all age ranges and relevant subjects, and these are also differentiated for ability within each key stage. A selection of pre-visit, on-site and post-visit (enrichment) resources are available for each partner venue. Each is supported by a detailed Teacher Note and a useful Parent Note, plus, for post-visit resources, sample lesson plans to help you integrate the learnings from the trip back into your schemes of work on return to school. We strongly encourage you to browse through the available resources to get a feel for the quality and depth of supporting documents made available to your for FREE when booking through Education Destination. Can you outline your Safety Management System? Education Destination takes safety and wellbeing very seriously. Whilst all of the service providers you will come into contact with are third parties, we only endorse and use those who meet our stringent requirements. Our Safety Management System has consolidated the many and varied requirements of the UK's Local Education Authorities, Academy chains and independent school trustees/owners. Each of our accommodation providers and venues is independently audited by a Chartered Member of the Institute of Occupational Safety and Health against our rigorous checklist. All venues, accommodation and service providers are required to supply a comprehensive sample risk assessment, updated annually, along with a copy of their public liability insurance. All are reviewed at least annually. Of course, we realise that you may wish to conduct your own inspections before booking or travelling, and we will happily help co-ordinate research visits for prospective tour leaders. We're also happy to act as your "eyes and ears" to answer any specific concerns you may have. When you book, we'll provide you with a comprehensive "On The Day Procedure" for each partner venue included in your itinerary. These documents summarise all of the key facts that you and your chaperones will need to know on arrival at each venue - including arrangements for first aid, toileting, lost children, summonsing emergency services etc. as well as useful summaries of the facilities available, site plans etc. Why don't you have an LOtC Quality Award? At this time, Education Destination understands that we are not eligible for either the LOtC Quality Badge or the LOtC Resource Provider Award. We cannot achieve the Quality Badge because we exclusively use third parties for accommodation and activities. We cannot achieve the Resource Provider Award because we do not deliver teaching ourselves. This is something we are urgently trying to address and as well as lobbying LOtC we are working with a number of LEAs to gain "pre-approval" to ease the planning and booking process for schools. However, we are proud members of the Council for Learning Outside the Classroom. I've never been to a particular venue before ... how can I be assured it is suitable? We put a lot of time and effort into detailing our venues on your behalf, and our Through A Teacher's Eyes section includes a detailed interactive site plan for most venues, with video clips, photographs, risk assessments and helpful feedback from previous visitors as well as our own highly qualified teaching staff. If you still feel there's something missing, we're happy to be your "eyes and ears" and visit the venue on your behalf. Alternatively we can help arrange an inspection visit for you. Do you have any special provisions for Adventurous Activities? None of our current venues or activities fall under AALA licensing requirements. Some activities will require medical information to be disclosed and ultimately it will be the decision of the venue as to whether a student will be allowed to undertake a specific activity in accordance with their own safety guidelines. All animal attractions carry the relevant DEFRA and/or BIAZA certifications, and appropriate hand washing facilities will be made available to tour groups. Will our group have sole occupancy of the provided accommodation? All of our accommodation options can be booked exclusively, however in some cases with larger venues and smaller groups this could be prohibitively expensive. Some accommodation providers however insist on sole occupancy. For those where sole occupancy does not make sense financially, we have worked with the accommodation providers to identify opportunities for assured segregation. We can explain these to you fully before you proceed to booking. Wherever possible, depending on special requirements and demand, we always aim to offer you a choice of accommodation when you place your enquiry. Are your coach drivers appropriately vetted? All drivers subcontracted by Education Destination who are likely to come into unsupervised contact with your students will hold current enhanced DBS checks. Wherever possible, and especially with 'door-to-door' packages, we will tell you in advance the identity of your nominated driver(s) and chaperone(s). Do you offer a 'door-to-door' transport service? Yes. As a provider of totally bespoke group tours, we can arrange transport on your behalf by coach, minibus or other options. We can also work with you if you'd like to arrange your own. When it is cost-effective to do so, we utilise a trusted Isle of Wight based coach operator which allows us to tailor the vehicle(s) to suit your party, from an 8-seat minibus to 70+ seat coaches, with/without wheelchair access. This gives you the added advantages of having drivers with local knowledge, and the cost savings of not providing lodging, subsistence or parking. If we make our own way to the ferry, can you take over from there? Of course. Many clients arrive by train or plane and make their way to the ferry. We'll have a coach meet you on arrival, or we can even come to the airport and meet you. Education Destination offers totally bespoke packages. Whatever your transport needs, we can help. We'd like to travel in our own minibuses - is this possible? Of course. You can take care of the arrangements yourself, or we can book your ferry crossings on your behalf at a preferential rate. Which ferry services can we use? You can use any! However, we can offer preferential rates using our partner Red Funnel Ferries from Southampton. Red Funnel also offers the widest range of pre-visit, on-board and post-visit learning resources, including probably the UK's most comprehensive range of Human and Physical Geography teaching materials. Alternatives include Wightlink from Portsmouth or Lymington, and Hovertravel from Southsea (passenger only). We offer a wide range of accommodation options, including camping, holiday camps, hostels and hotels. The Isle of Wight has over 1,500 accommodation providers offering a total of 44,000 bed spaces - the widest possible choice of options. Using our website you can either put together your own detailed itinerary or simply request a Quick Quote - supply the basics and one of our experienced staff will work with you to finalise the ideal package. If you're happy with the proposal, a 25% deposit will secure all of the service requested, with the balance due no later than 4 weeks prior to the trip. Your itinerary details including all the relevant paperwork and access to resources will be published privately online to share with teachers, students and parents as you see fit. You will be assigned a named educational liaison person whom you may contact at any time for advice. As each trip is bespoke, so is the bill of parts. Assuming you've booked a full door-to-door package, your fee will usually include all the the travel and accommodation options detailed, plus breakfast, packed lunch and evening meal for each full day on the Island. It will include entry fees for all identified venues and events. Your final agreed itinerary will explicitly detail what is and is not included so there will be no confusion. Who exactly am I booking with? 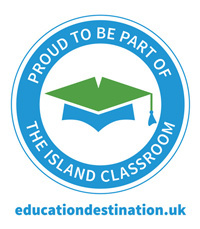 Education Destination Ltd. is an Isle of Wight based tour operator. All payments are protected by insurance. If your LEA or governing authority insists on using a bonded operator we have an arrangement with our partners Red Funnel Ferries who are ABTOT bonded and will act as principal for your booking. A surcharge applies if using this option to cover increased administration costs. Are my payments protected or bonded? 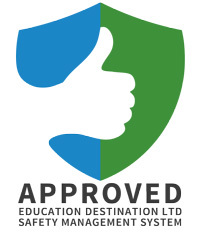 Education Destination are a company committed to customer satisfaction and consumer financial protection. We are therefore pleased to announce that, at no extra cost to you, and in accordance with "The Package Travel, Package Tours Regulations 1992" all passengers booking with Education Destination are fully insured for the initial deposit, and subsequently the balance of monies paid as detailed in your booking confirmation form. The policy will also include repatriation if required, arising from the cancellation or curtailment of your travel arrangements due to the insolvency of Education Destination. Full details concerning this policy and a claims procedure will be issued along with your booking confirmation prior to you paying the deposit for your trip. I'm responsible for students with special needs - can you cater for us? Usually, yes. Many of our venues and service providers cater for students with special needs. We encourage you to contact us in confidence with more specific details about your party and we'll be able to advise further. Many of our educational resources can be adapted for special needs students, and some of our venues can make good use of electronic learning aids. I have wheelchair-bound students - is this a problem? The majority of our venues and service providers can cater for wheelchair users, although obviously some activities may be difficult or impossible as a result. Each of our venues has been assessed and we have detailed accessibility issues through a '5 star' rating system. Any specific restrictions are clearly highlighted. Mobility scooters are less well catered for, but we still offer a wide selection of venues where these are accepted - please contact us to discuss your requirements in confidence. Wheelchair-capable vans, minibuses and coaches are available although the choice of suitable accommodation providers is limited especially if you have several wheelchair users. We advise booking well in advance to secure the optimum facilities. Can you deal with special dietary needs or allergies? No problem. We just ask you to make your special requirements known in advance and this will be forwarded to all of the service partners you come into contact with.